Harold and Linda pastored a church for 6 years beginning in 1980. After a fruitful season pastoring, Harold felt a call to travel and minister to the larger Body of Christ. Since that time, Harold has become known in churches around the world. He is a popular conference speaker and visiting instructor at numerous Bible Colleges. Linda retired from teaching elementary school in 2015 and now travels full-time with him on the road. About 2/3 of Harold’s energies are invested in ministering in the United States, while the other 1/3 is invested in foreign countries. Harold has ministered in dozens of countries, with special focus on three regions. In 1990, he began working in the Philippines helping Pastor Eddie Deita establish a Bible College and raise up leaders on the island of Mindanao. Then in 1996, Harold began spending extensive time in Africa, where he worked with Dr. Weston Gitonga to establish 12 Bible Colleges in seven countries of central Africa. In 2012, Harold began focusing on the Middle East, where he continues to work and invest time ministering in the Muslim-dominated areas of the world. Harold has authored over 25 books, dealing with issues such as Church leadership, life-centered Christianity, Kingdom finances, Church history, victorious Christian living, and various areas of theology. Several of his books are used as textbooks in Bible Colleges and seminaries throughout the world. Harold and Linda have been married for 38+ years and now live in Yakima, Washington, US. They raised three children who are grown and living happily on their own. 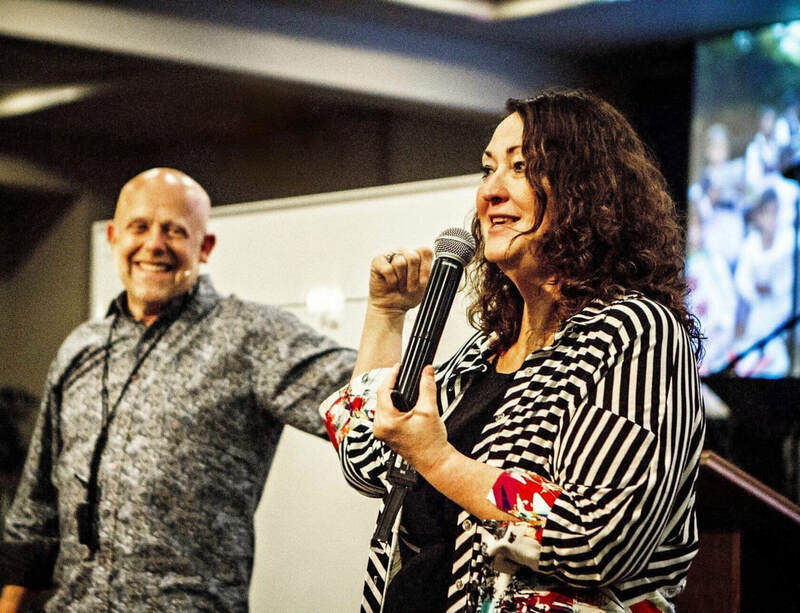 Worldcast Staff During the last 26 years, several Christian couples living in Yakima, WA, have worked as volunteer or paid staff with Worldcast Ministries. Presently the staff includes, Mike and Maribel Pillsbury, R.D. and Patti Smith, and Anthony and Wendy Delatorre. Maribel heads up intercession, Patti oversees finances, and Anthony administers the Worldcast office. When Worldcast Ministries hosts a conference locally, there are also numerous friends, near and far, who get involved to make it a success. ​In our home town of Yakima, WA, we do not hold regular meetings, although Harold speaks at the Yakima Foursquare Church, which is our home church, two or three times each year. Harold also speaks at four other local congregations throughout the year. In addition, we hold an Annual Worldcast Conference, which is attended by people from all over the world. In 2019, the conference will be July 16-18, Monday evening, all-day Tuesday and Wednesday. All other meetings are held at hosting churches, which you can read about on our page entitled, Itinerary.